Commissioned by the Hammer Museum for Made in L.A., this piece is comprised of video, two “accumulation stations” and a series of unannounced live performances, all of which are dispersed throughout the museum’s peripheral zones. The video, which was filmed onsite at the museum, examines the moment, and how moment becomes memory. And then how memory becomes a sort of a malleable or fragile “fact”. Exploring the underlying complexities of language, translation, memory and miscommunication, it confronts the profoundness of the seemingly mundane and uses repetition and familiarity to incite instants of human connection. 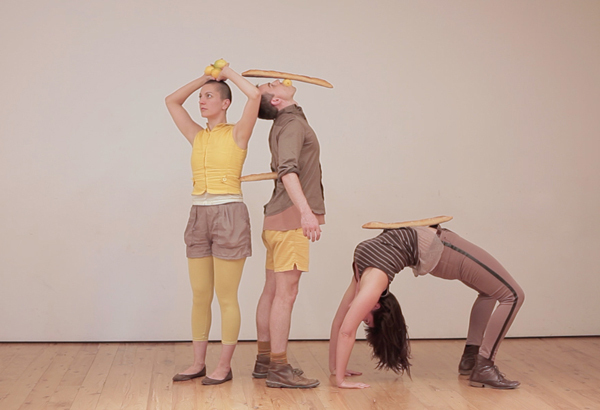 The performances activate seemingly fixed objects and recall the movement language featured in the video.